The Sick and Indigent Roomkeepers Society – which was formed in 1790 – distributed €120,000 to over 200 individuals and families last year. A DUBLIN CHARITY saw an increase of 16 per cent in the money it donated to the needy in 2012. The Sick and Indigent Roomkeepers Society announced that it has distributed €120,000 in assistance to over 200 individuals and families in 2012. It said that while the number of cases accepted for assistance in the same year was 10 per cent higher than in the previous year, the total amount of assistance provided increased by 16 per cent. despite continuing financial challenges, the Society has not had to refuse assistance to any qualifying applicant because of lack of funds. He added that the society is “most grateful to its benefactors. whose magnificent generosity is a very welcome vote of confidence in the valuable work that the society does”. The society is one of Ireland’s oldest charities, and was founded in 1790. Its aim is to respond to the needs of the poor, sick and destitute of Dublin city and county, and it does so “without distinction of religion, race or politics”. Today, it said that though its operations have been adapted and modified over the years, the type of poverty which the society’s founders, Samuel Rosborough and his associates, identified and tried to address in 1790 – poverty due to illness, unemployment, addiction and other unforeseen circumstances – “continues to be a priority for the Society”. The society endeavours to provide a quick, Christian and practical response to all qualifying applications for assistance. Applications on behalf of people in distress are made to the society by social workers in state agencies and other relevant bodies. The Society makes a professional and sympathetic assessment of each application, while at all times respecting the dignity of the applicant. The society will pay arrears of utility bills direct to the supplier or will provide vouchers to applicants instead of cash in some instances, to “ensure that the assistance provided is spent where it is most needed”. The funds that are distributed come from interest and dividends on investments, as well as individual donations and bequests, church collections, bequests under the control of the Commissioners of Charitable Bequests and an annual appeal to corporate institutions. In the current economic climate, it is increasingly difficult to raise funds for the society, but last year it received a substantial individual bequest that helped with its donations. Donations to enable the Society to continue this work can be sent to the secretary, Sick and Indigent Roomkeepers Society, 74 Upper Leeson Street, Dublin 4. Email “Charity sees 16 per cent increase in donations to needy in 2012”. 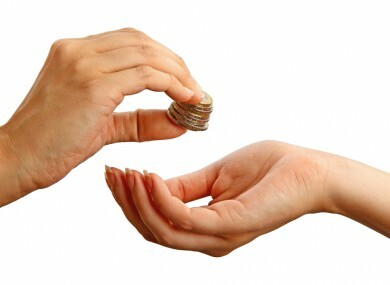 Feedback on “Charity sees 16 per cent increase in donations to needy in 2012”.